I don’t often choose to go out for Italian food as we eat a lot of it at home. I adore making pastas and risottos and our freezer is always stocked with a good, homemade bolognese sauce (check out my tried & tested sauce recipe.) I have even delved into the world of homemade pizzas… I’ll admit that with one is with varying degrees of success. What I am trying to say, is that when you can make a delicious pasta dish at home, knowing all the ingredients are fresh and the favours will be big and bold, when it comes to dining out, the bar is set rather high. 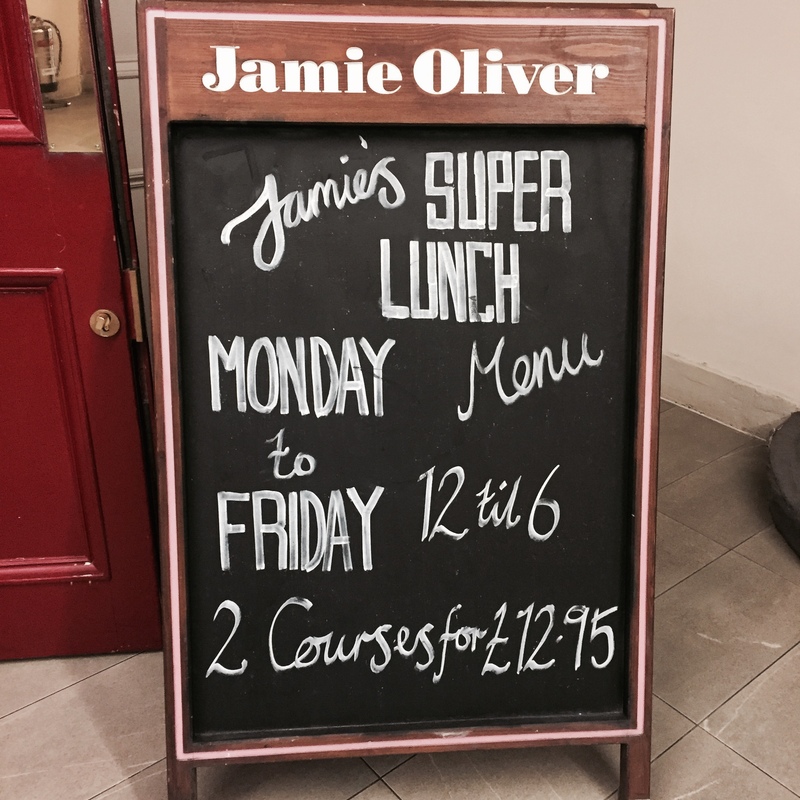 I was recently invited to try the new Super Lunch Menu at Jamie’s Italian on George Street in Edinburgh, an exciting opportunity to dine at one of the few Italian restaurants I do enjoy going to from time to time. 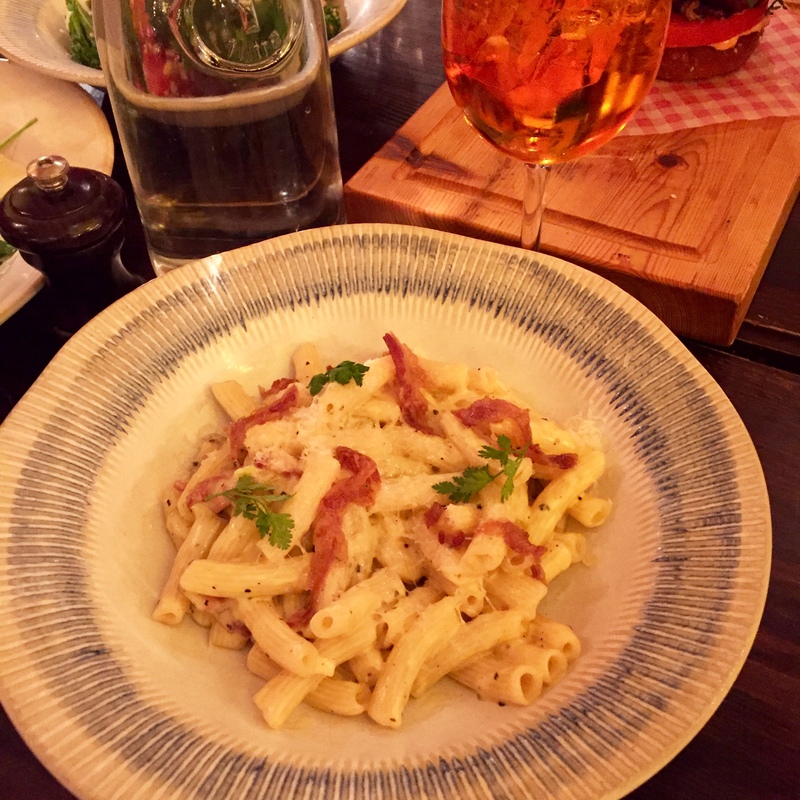 They have taken menu favourites (such as their fritto misto, penne carbonara and tagliatelle bolognese) and added some new dishes, creating a cracking lunch offering. We arrived at Jamie’s Italian, armed with an appetite, at 1pm on Easter Monday. 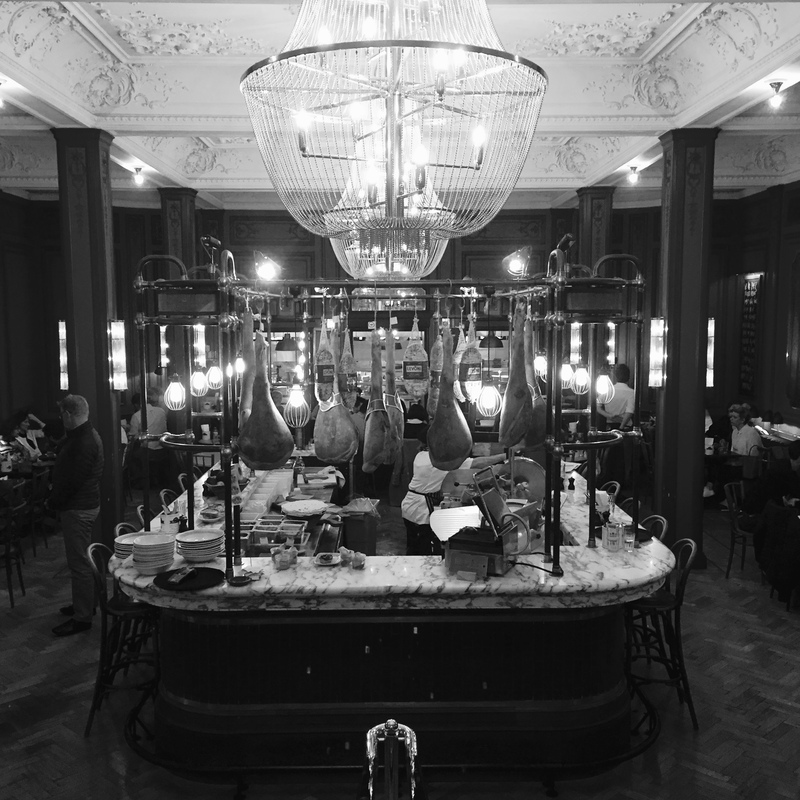 If you’ve not visited before, the interiors of this restaurant are stunning. Located in the grand Assembly Rooms, they have cleverly merged a beautiful, old building with funky, modern interiors, achieving a warm and bustling feel to what is a fairly vast space. 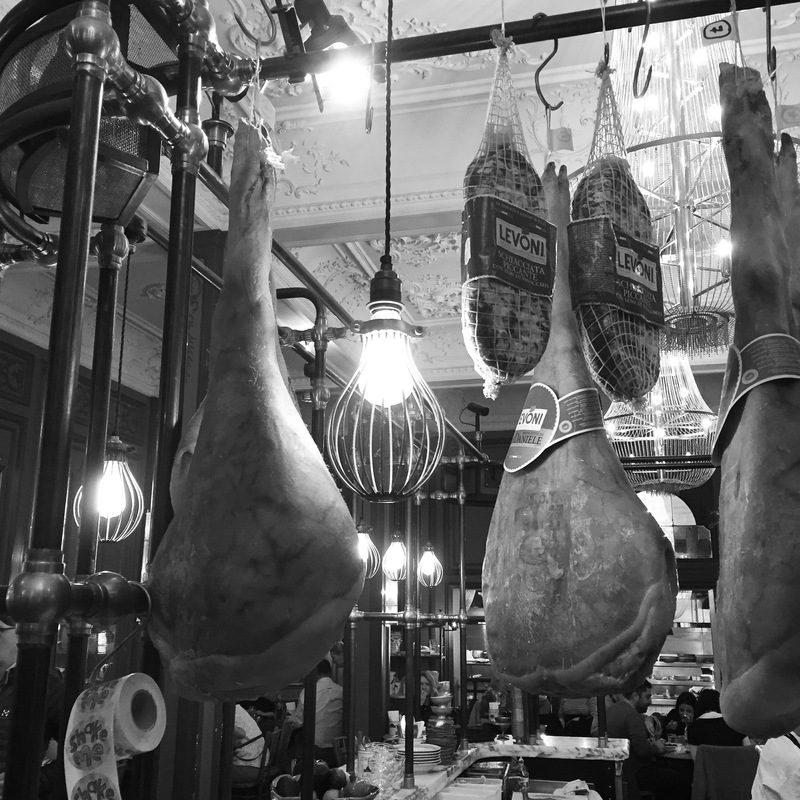 The charcuterie counter in the middle adorned with hanging meats and quirky light bulbs adds to the deli style decor and is a beautiful focus of the great hall. 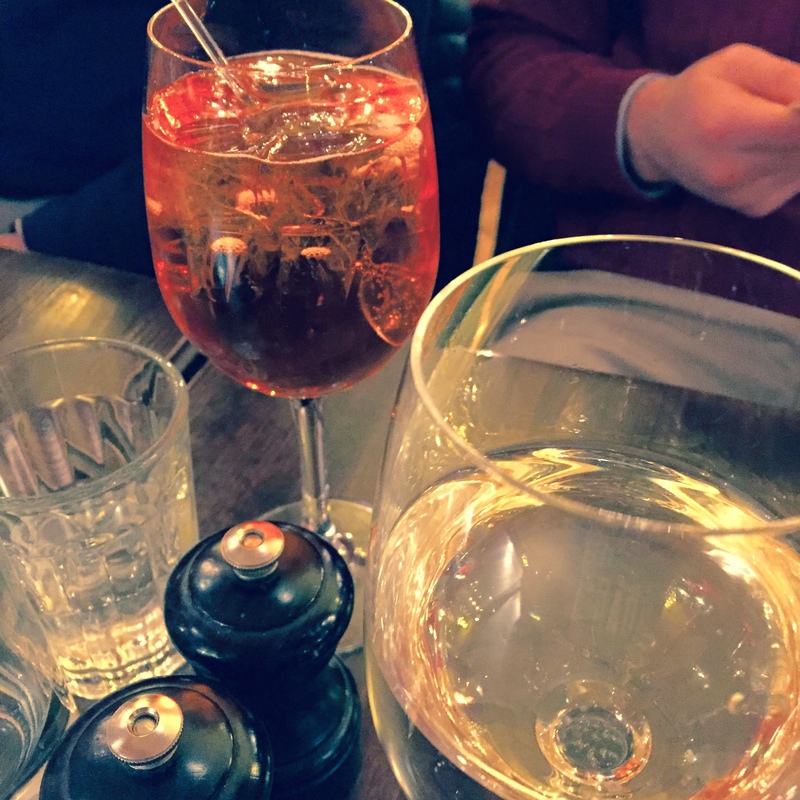 Once at our table, drinks arrived and we poured over the menu – a beer, a sauvignon blanc and a cheeky Aperol spritz… when in Rome and all that! As there were four of us lunching, and four starters on the menu, it seemed only sensible to try one of each. The Fritto Misto was a rather large, and delicious combination of crispy fried fish, some squid in there too, and thinly sliced vegetables. Served with a pot of garlic aioli in the middle, the fish was light and crispy, and a scattering of chilli flakes gave it an extra kick. We hadn’t come across mussels in fritto misto before, the jury is still out on those. The Pate Bruschetta consisted of two, cute pieces crispy bruschetta topped with a silky smooth chicken liver pate, some greens and a touch of parmesan. 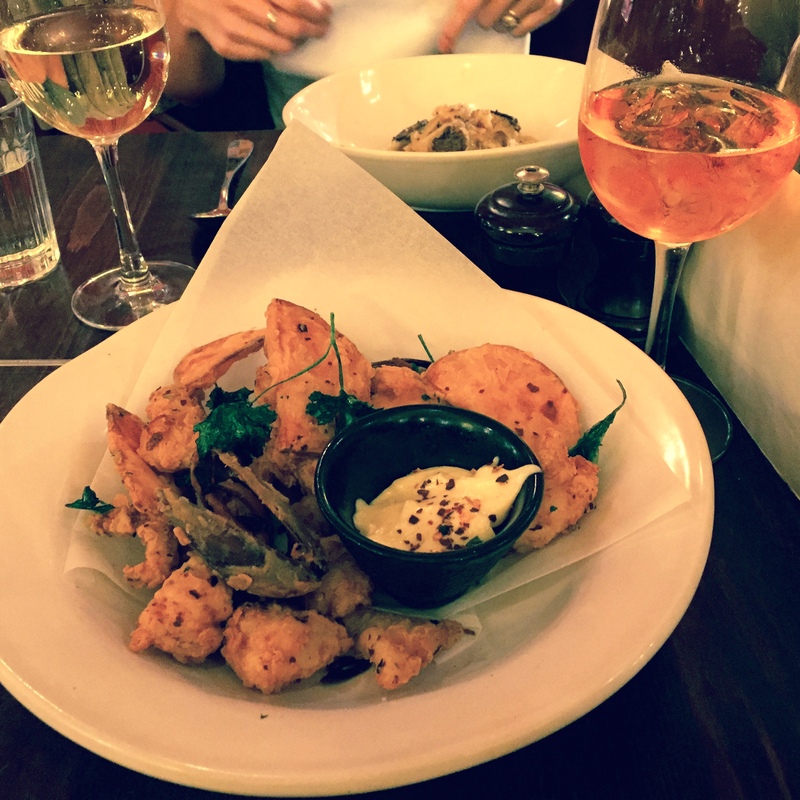 A fair contender for a lunchtime starter, but by no means our favourite of the day. 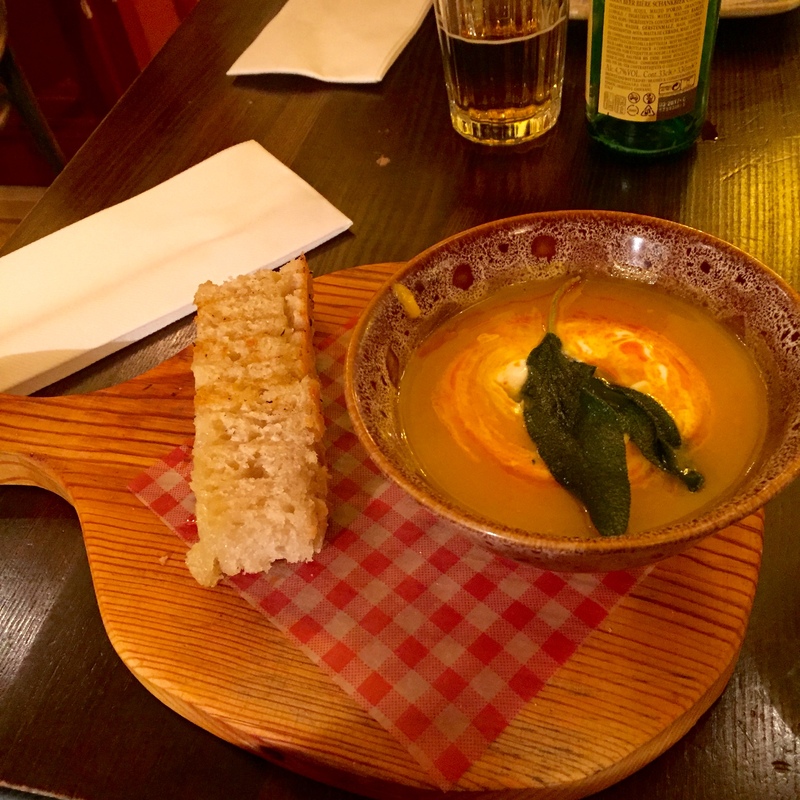 The Slow Roasted Squash Soup was a vibrant and delicious dish. Served with what we think were crispy sage leaves and coupled with a dollop of yogurt, it was a hearty and delicious bowl with a lovely homemade vibe. The toasted focaccia was just a touch on the oily side – probably just as the Italians themselves would have it – but we’re not used to cooking with so much olive oil. Next up, Truffle Tagliatelle, by far the most indulgent starter. 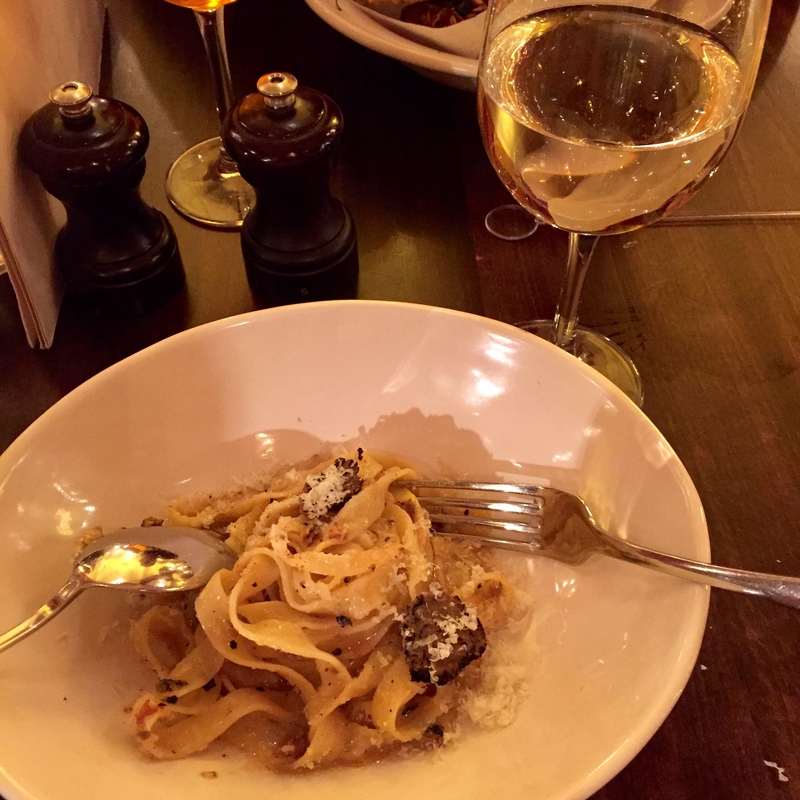 A small bowl of freshly made al-dente tagliatelle, coated with a delicious black truffle butter sauce. It was rich, smooth, and crucially, just the right amount of sauce-to-pasta ratio. Fabulous smokey flavours of truffle and nutmeg. I hope they offer that on the larger menu as a main dish. 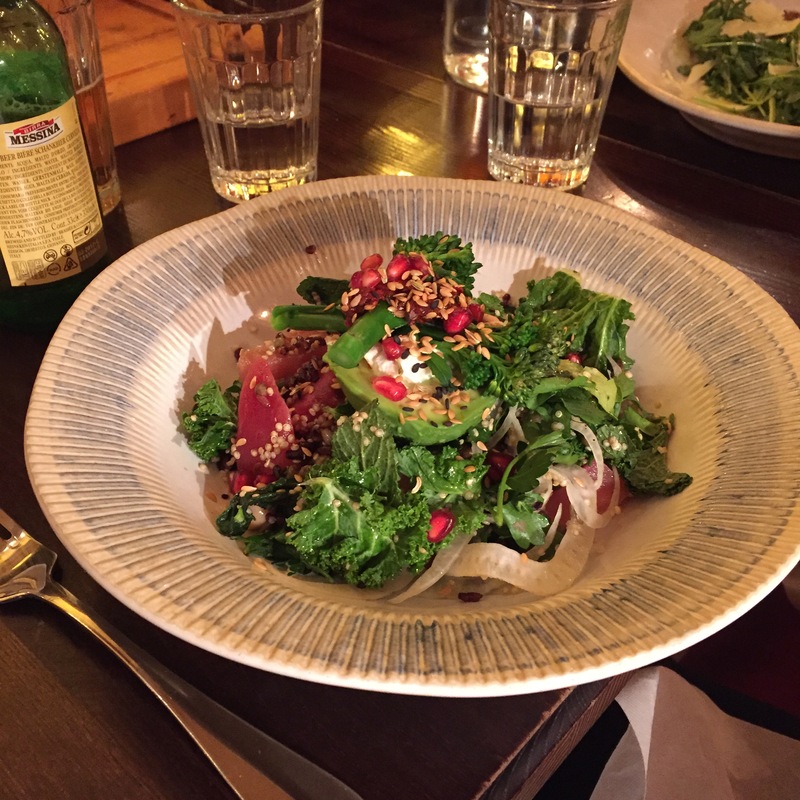 On to the lunchtime mains, and it was the Super Food Salad that stole the show. It is one of those dishes that makes you feel healthier just from reading the ingredients on the menu. 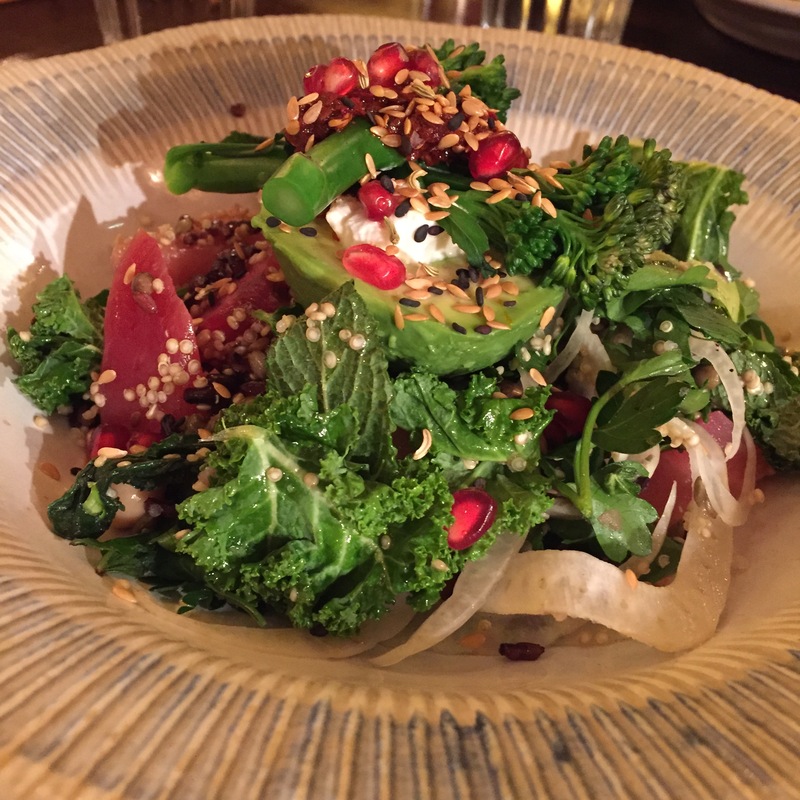 A fabulous bowl of goodness, bursting with big and interesting flavours. Made up of avocado, roasted beetroots with fennel, quinoa, black rice, curly kale, sprouting broccoli, lots of fresh herbs pomegranate, toasted seeds, harissa and creamy cottage cheese. Each mouthful gave way to a different burst of herbs. It was refreshing, so, so, flavoursome and despite the sizeable bowl, a light and enjoyable lunchtime dish. 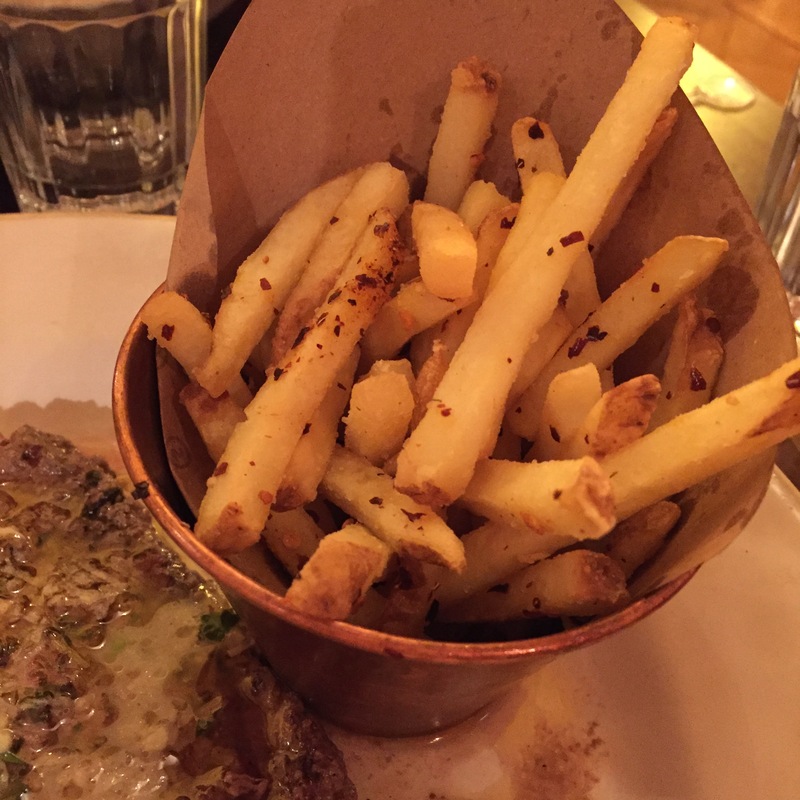 Not so light, but just as good was the Italian Steak & Fries. 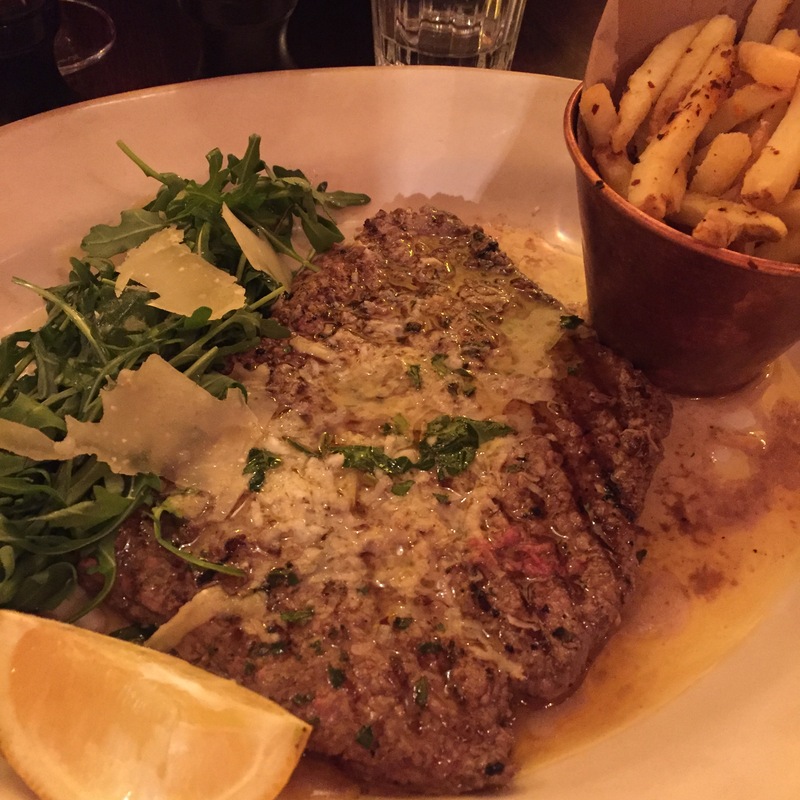 A whopping cut of British beef arrived, glazed with an indulgent garlic butter & freshly grated parmesan, and skinny home-cut fries. The horseradish and rocket salad was some what overpowered by the steak and garlic, but it was nice to see some green on the plate. The steak was perfectly cooked, pink, juicy and tender. The fries were coated with quite a lot of chilli flakes, perhaps better named ‘piri piri fries’, as these are not for those who can’t handle a bit of spice. 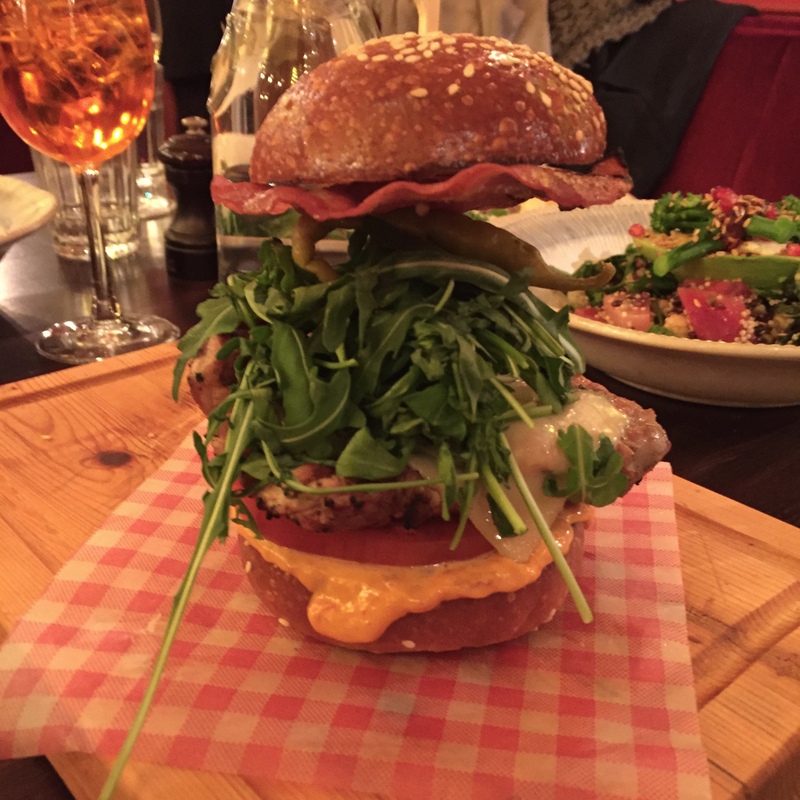 Gennardo’s Chicken Club was an impressive brioche, stacked with chicken, thin slices of crispy pancetta (so much better than bacon), spicy mayo, tomato rocket and melted cheese. It was a challenge to dissect at first, but once eating was underway, it was polished off fairly promptly. Finally the Penne Carbonara was also a hit. A good bowl of fresh, al-dente, penne pasta coated in a lovely carbonara sauce. The smoked pancetta was perfectly crispy, and the sauce was creamy, yet not too heavy. A classic, done well. It seemed a shame not to try at least one of the desserts. As a compromise, we all shared the Epic Brownie and much to my amazement, managed to polish it off. It more than deserves its given name. It was beautifully crispy on the outside and unbelievably googey and fudge-y in the middle, almost like raw brownie mixture. So moorish. 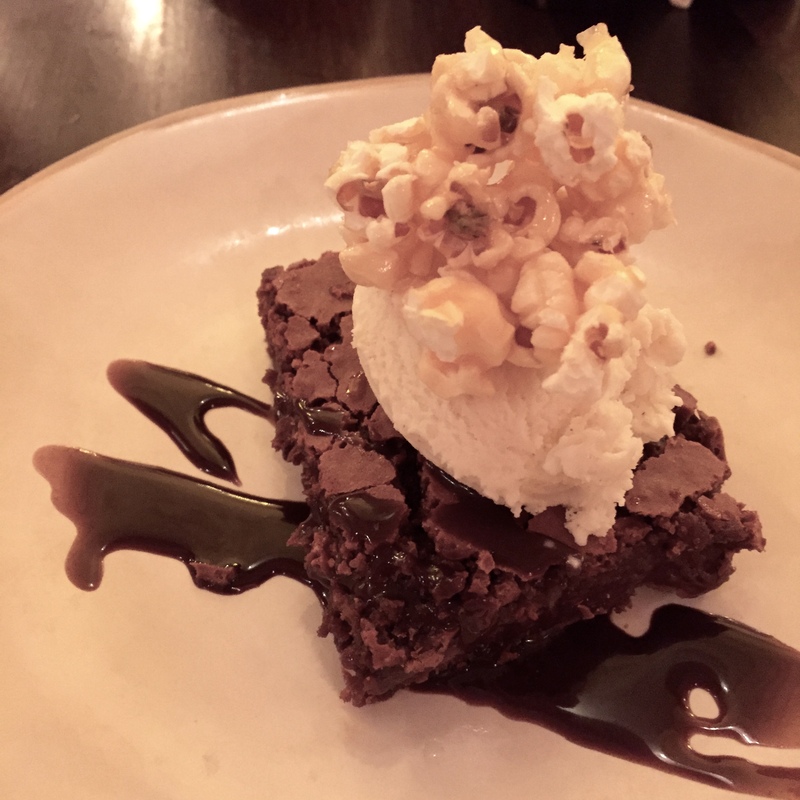 The caramelised popcorn added a nice crispy texture to the dessert. 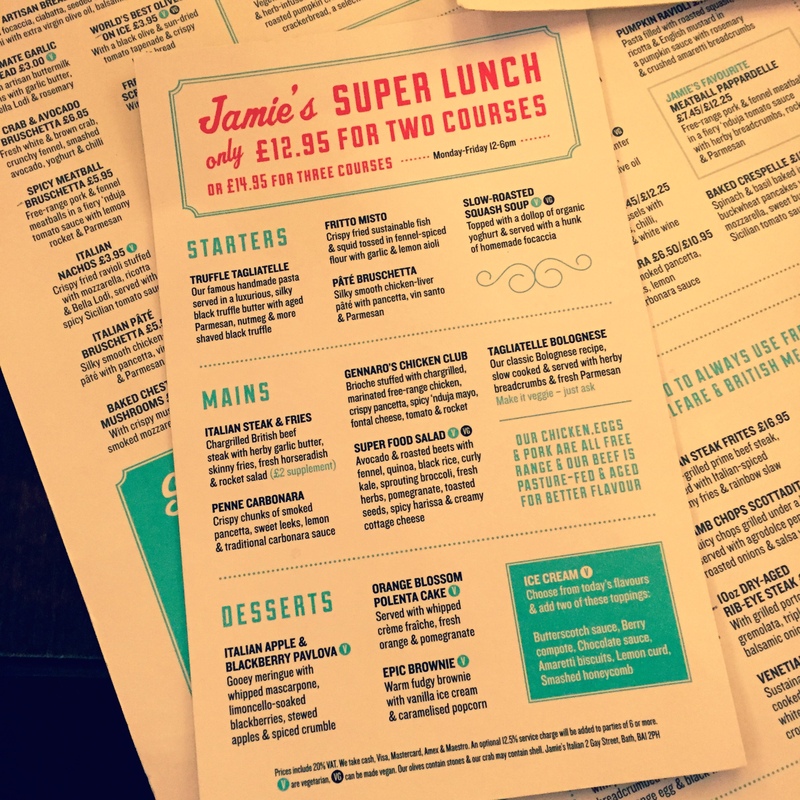 This new Super Lunch Menu is a welcome offering from Jamie’s Italian, and certainly packs a punch. Everything about it, including the brownie, is rather epic. The setting is magnificent and the service is polite, friendly and inviting. The pricing – 2 courses for £12.95 or 3 for £14.96 – is outstanding value. The choice of dishes is varied and interesting, and the flavours are fresh, big and bold. As it is only available Monday – Friday, unless you are used to a long, leisurely working lunches, I’d recommend going on a day when you time to spare. The portions are large and you’ll want to take time to enjoy each and every mouthful. We certainly did. Great 🙂 In which case you should also out my post on Stockbridge in the travel section too – lots more suggestions there!